A longtime Silicon Valley entrepreneur who now works with Apple said he was interrogated and subjected to an unwarranted search at San Francisco International Airport late last year, according to an ACLU complaint filed with the Department of Homeland Security. Andreas Gal was returning from Sweden on Nov. 29 when U.S. Customs and Border Protection officers demanded to search his electronic devices, and after he asked to speak to an attorney due to nondisclosure agreements with his employer, the officers proceeded to interrogate him and threaten him with criminal prosecution, the complaint says. Gal, a former executive with Mozilla, has been an outspoken opponent of the Trump administration's policies and fears the incident may have been a form of retaliation, the complaint says. Gal wrote about the incident on a blog published April 2 on Medium. "If the government intended to scare me, they certainly succeeded," he wrote. "Ever since, I travel in fear. I’ve reduced my international travel, and my heart pounds every time I go through U.S. customs. I will, however, not be silent." 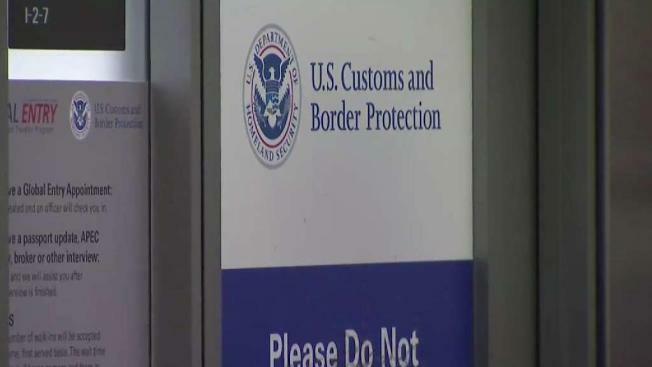 Gal eventually was allowed to leave with his devices, but his Global Entry card was confiscated, and he was told his privileges would be revoked because he refused to comply with the search, the complaint says. The complaint calls for an investigation into whether the interrogation and search were consistent with the First and Fourth Amendments of the Constitution. A CBP spokesperson said she could not comment on a specific case, but the agency released a statement, saying in part: "Keeping America safe and enforcing our nation's laws in an increasingly digital world depends on our ability to lawfully examine all materials entering the U.S."
Gal, who was born in Hungary and grew up in Germany, is founder and CEO of Silk Labs, a San Mateo-based artificial intelligence startup bought by Apple in November.